CDS Global, a technology-driven, industry-leading provider of outsourced business solutions for the publishing, nonprofit, consumer product and utility industries, is a sponsor of Des Moines Area Community College’s (DMACC) Innovation Week (iWeek) to be held March 5-8, 2012, at DMACC’s West Campus. 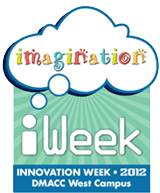 iWeek features speakers and events to help students and the public explore and see the value of innovation. CDS Global will feature two speakers: Frank Livaudais, chief technology officer, and Kristin Runyan, chief information officer and vice president of product management. Livaudais’ presentation is entitled “Using HTML5 in the Real World.” It will cover what HTML5 is and its potential real-world applications. Livaudais will present on Wednesday, March 7 from 9:30-10:20 a.m. in Room 210E and again on Thursday, March 8 from 9:30-10:20 a.m. in Room 123E. Runyan, a 2011 recipient of the "Women of Innovation" Award from the Technology Association of Iowa, will present “Leadership through Change,” a discussion about how leaders can provide the best guidance to navigate a culture change. Sessions will be held on Wednesday, March 7 from 8:30-9:20 a.m. in Room 213W and Thursday, March 8 from 8:30-9:20 a.m. in Room 213W. Runyan will also introduce iWeek’s keynote speaker, Apple co-founder Steve Wozniak, who will share his thoughts on the importance of creativity and innovation, Steve Jobs’ legacy, the future of innovation and technology, and his stories from Apple’s early days. Wozniak will speak on Thursday, March 8 from 1-2:20 p.m. Admission is free. Seating for CDS Global’s speaking engagements is available on a first-come, first-served basis. Tickets are required for the Wozniak event. For 40 years, CDS Global has been a leading provider of outsourced business solutions to multiple industries, delivering an array of innovative and flexible eCommerce, order management, fulfillment, payment processing and marketing services. By maximizing the value of data, CDS Global effectively manages its clients’ interactions with their customers and creates a positive impact on the bottom line of its clients. CDS Global is a wholly owned subsidiary of Hearst Corporation, one of the nation's largest diversified media companies. Corporate headquarters are located in Des Moines, Iowa, with offices across Iowa and in Arizona, New York, Pennsylvania, Texas, Australia, Canada and the United Kingdom. Learn more at http://cds-global.com.